Take your yoga practice outside! Find a way to enjoy both the wonderful weather and yoga together. 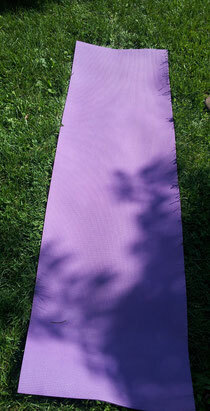 An invigorating yoga work-out is beneficial outside. You can enjoy both the connection to nature and relax in your restorative poses. I will be taking my reiki practice outside during these warm days of summer. Hydrating with lots of water will benefit both the practitioner and client during the session. This will be ideal for the gravity chair.